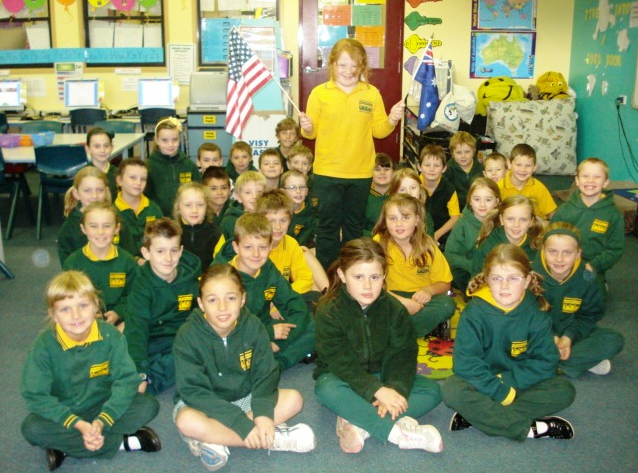 Mrs. Yollis' Classroom Blog: A Visit From Ella in 2KM/2KJ Australia! On Wednesday, Ella was in her own 2KM/2KJ classroom in Victoria, Australia. By Thursday, she was in her blogging buddies' classroom in Los Angeles, California! Before Ella arrived, Mrs. Yollis' students applied some Australian tattoos they'd received as a gift from Ryley in 2KM/2KJ! He was in Mrs. Yollis' class two weeks ago! Mrs. Yollis' and Mrs. Ranney's students were excited to meet Ella and her family. Everyone was astounded at the travel day they had endured! They left Australia on Thursday, May 12, at 10:00 A.M. They arrived in Los Angeles on Thursday, May 12, at 8:00 A.M. 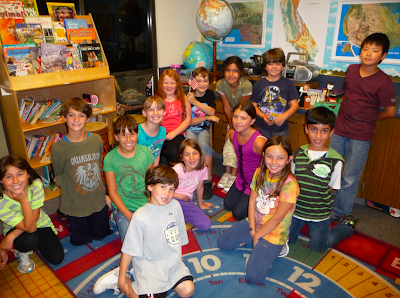 They were in Mrs. Yollis' classroom by 2:00 on May 12! Ella shares about her travel plans! 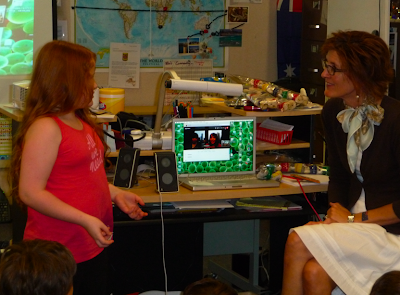 Mrs. Morris and Miss Jordan joined in via Skype from Australia! Jack and Ella were still on May 12 in America, while it was May 13 in Australia! 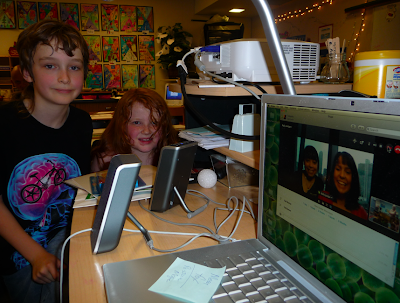 Many students stayed in class after the bell rang so they could visit a little more with Ella and Jack. 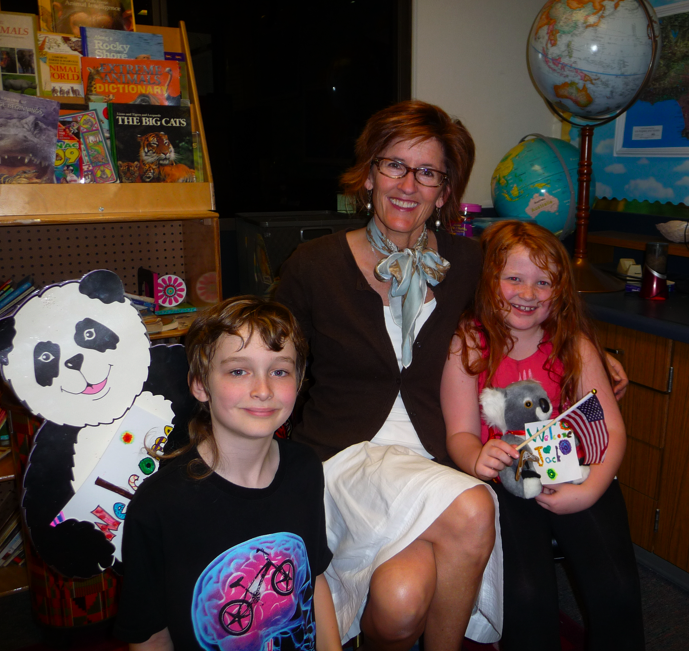 Panda and Mrs. Yollis enjoy making new friends! 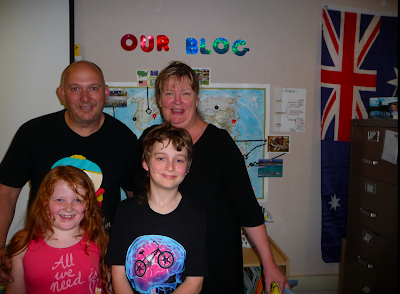 Ella, Jack, and their parents in Mrs. Yollis' classroom! 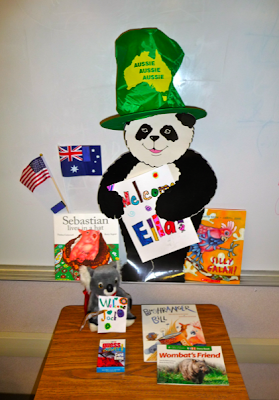 Ella and her family brought many fun books and Australian souvenirs to share! The koalas were a big hit! What did you think of the visit? Do you have any questions for Ella and her family? Would you like to travel to Australia one day? I am so very happy you have already met two of my students! I hope one day that will be me sitting in your classroom! I thought Ella's family were very generous and thoughtful to bring such wonderful gifts for you all. I hope you enjoy reading all the books! Thank you so much for taking such good care of both Ryley and Ella and their families. Your gifts were also very generous and I can't wait to see them when they get back! The funniest thing for me was that Ella left our class just before lunch on Wednesday and she was in you class just after lunch Thursday. That is crazy! Thank you for inviting me and Miss Jordan to be a part of this special experience. That is just amazing! I'm hoping to something similar next year, so you've inspired me even more! What an amazing experience that must've been for both you and Ella! It must've been so strange for her to have had such a long May 12! I know we sometimes say there just aren't enough hours in a day. I think Ella found a way around that! It's funny how time zones work. I know sometimes I wish I could be in your time zone so I could sleep for a few more hours! I liked meeting Ella. I really like the little Koalas she brought from Australia. Iliked having the skype call with Mrs. Morris and Mrs. Jordon. I hope to travel to Austraila some day. Everyone seems so nice there. Wow how wonderful that you were able to meet another family from Australia. Like Mrs Morris said in her comment I too with BB would love to one day be sitting in the classroom with you all. That would be just awesome as we would say. Thank you for putting up this wonderful post. Wow, that was exciting about Ella visting you and your class. us the Australia book too. 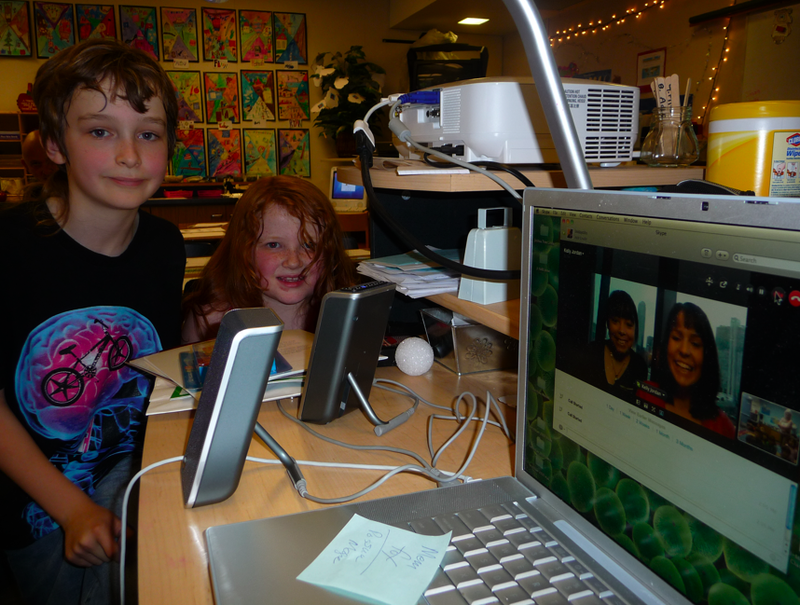 Thank you for skyping with us. All of my classmates like the koala and the book too. Thank you for the little koala. I hope you like our gift. The books that you gave us looked cool. 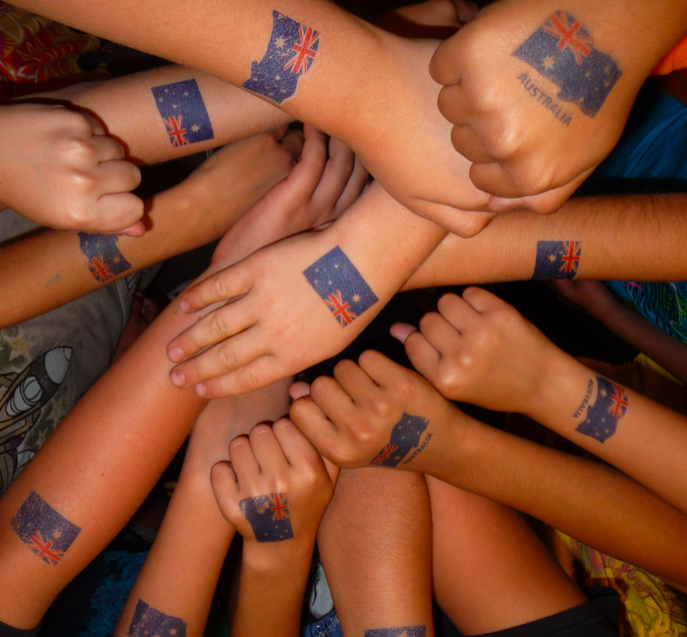 It was very fun putting on the Australian tattoos that Ryley gave us to wear when Ella visited us. 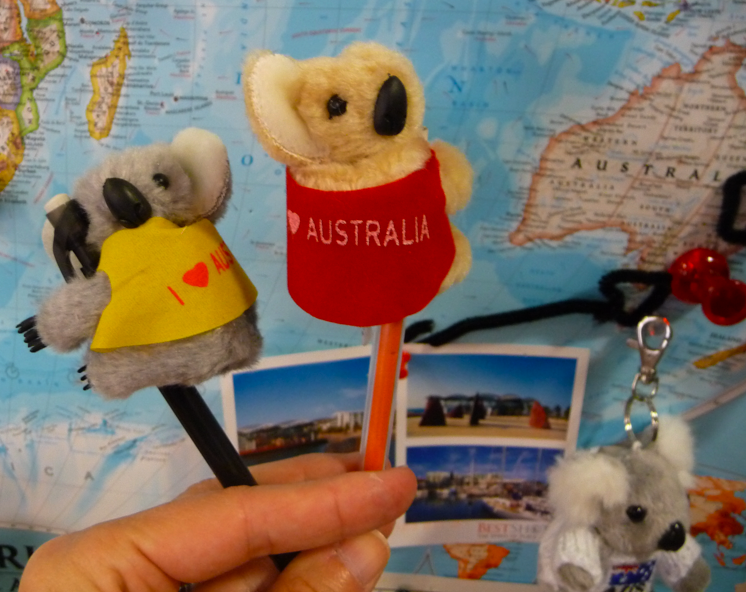 Ella's souvenir koalas were fun when they where hanging from our pencils. Hi guys,(it's Catharina, Ella and Jack's Mum) We are really glad you liked the koalas and hope you are enjoying the books and card game. We are having a great time, your country is beautiful. We are currently in Daytona Beach, in Florida. We have seen some of California and Nevada, the Grand Canyon is awesome, been to Orlando - went to Universal Studios and Sea World, didn't get to Disneyland, we ran out of time. There is so much to see and do, we think we will have to come back, for longer next time. 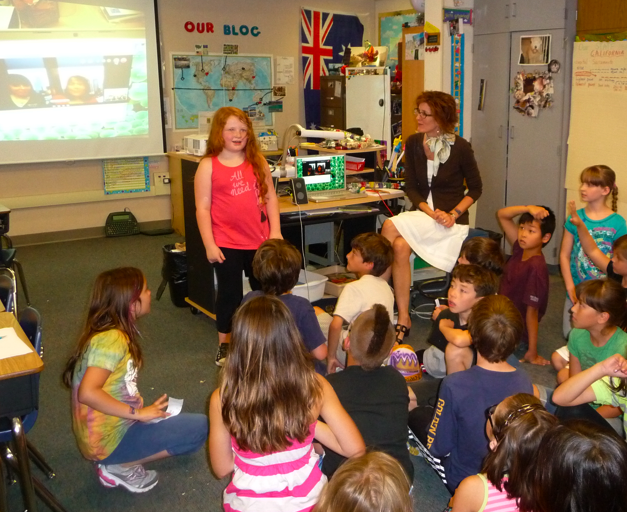 Thanks again for allowing us to visit in your classroom, it was really fun and exciting for us. Ella has been carrying her bag all over, she calls it her "fun bag" because she associates it with her visit to you!!! It was a great way to start our time in the U.S.A. Will keep in touch when we can, I am not a diligent blogger though. We are off to The Bahamas on Wednesday. • You were very kind.